Most people, when they think about blood pressure problems, think about high blood pressure. Suffering from low blood pressure is a real problem, too, though. Those who have this problem tend to find that their skin gets cold and clammy, they may have trouble with fainting, they fight fatigue, and they struggle to concentrate. To get a proper diagnosis of low blood pressure, seeing a doctor is called for. Once that diagnosis comes through, sufferers can do a number of things at home to help increase their blood pressure. Here are 8+ home treatments to try. 1. Salt. Most know that eating too much salt is bad for blood pressure, making it go up. The Mayo Clinic points out that for those who suffer with low blood pressure, increasing the salt intake can help raise the blood pressure. Be careful not to eat too much, or you might end up creating other problems. 2. Caffeine. Another item that usually hits the restricted list if you have a blood pressure problem is caffeine. Healthline offers consuming caffeine as a way to help increase blood pressure for those who have a low blood pressure problem. The only drawback is that it's only a temporary fix. Once the caffeine is out of the system, your blood pressure will fall again. 3. Water. Drinking plenty of fluids and staying hydrated helps increase blood volume, according to WebMD. Be sure to keep some water on hand to sip throughout the day. 4. Licorice tea. Healthline recommends drinking licorice tea to help raise blood pressure. The tea is supposed to "may reduce the effect of aldosterone, the hormone that helps regulate the impact of salt on the body." 5. Small meals. Eating small meals throughout the day may help, according to WebMD. 6. Carbohydrates. High-carb foods may be a source of trouble as they can be digested too quickly. Healthline says to limit the amount of high-carb snacks and meals. 7. Exercise. Regular exercise helps promote a healthy blood flow. WebMD says to make time to exercise. Take a walk at lunch or in the evening, join a gym or workout at home. 8.Leg Crossing Interestingly, Medical NewsToday reports that crossing legs while sitting has the ability to increase blood pressure. 9. Compression stockings. Compression stockings are primarily thought of with regards to varicose veins; but Medical News Today states that by wearing them, blood isn't allowed to pool in the legs and helps increase blood pressure. 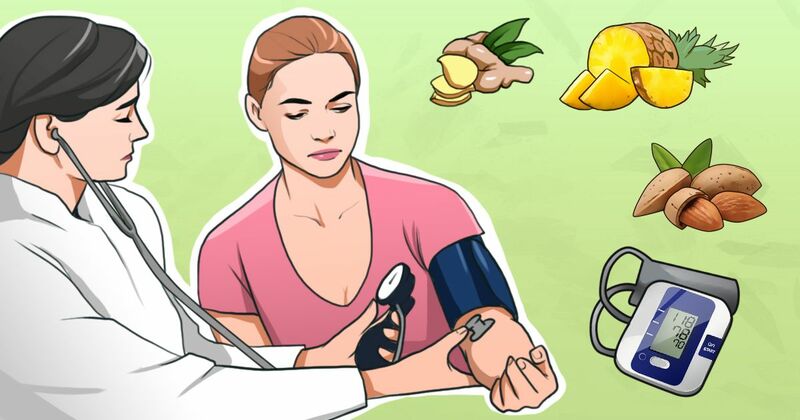 These remedies may not be cure-all's, but they have the ability to help improve blood pressure. Be sure to ascertain whether the low blood pressure is just the result of some other problem before jumping into using these.